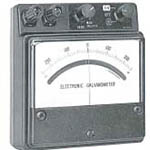 A galvanometer is a type of ammeter: an instrument for detecting and measuring electric current. 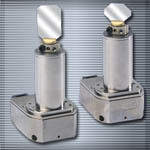 It is an analog electromechanical transducer that produces a rotary deflection of some type of pointer in response to electric current flowing through its coil. The term has expanded to include uses of the same mechanism in recording, positioning, and servomechanism equipment. Once submitted, we will try and place you in contact with a suitable Galvanometers supplier within 48 hours. 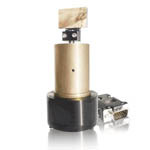 Dual Axis Galvanometer Based Optical Scanner from Edmund Optics Inc.
QuantumScan-7 (QS-7) Galvanometer from Nutfield Technology, Inc.
LBS-6124 Galvanometer from Equipment Solutions, Inc.